Posted on November 8, 2018 by thelostlighthouse	in Comics, Literature and tagged art, comic book review, comic books, DC, DC comics, Grant Morrison, Green Lantern, Lantern Corps, Liam Sharp, Literature, Steve Oliff, superhero comics, superheroes, The Green Lantern, TLL, Tom Orzechowski. 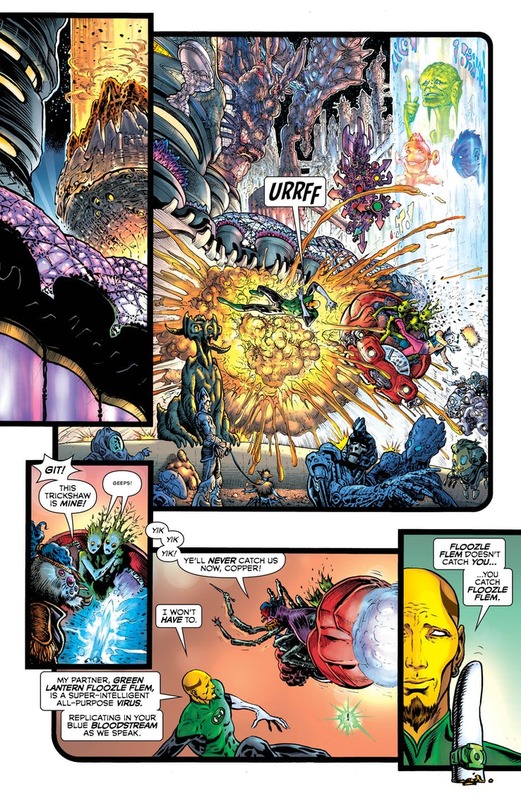 The opening of the story brings us to the Green Lanterns, in their wonderful multiform and colourful variety battling it out with bunch of alien pirates. This forms the backstory and set up to the series and brings to any totally new readers an understanding of who the Lantern Corp are and the scale of the problems they deal with. We then get to see Hal Jordan, and in a scene very reminiscent of the very first time he picked up a power ring, how he gets back in the game. We get to know the type of person Hal is, how he very much knows how to handle himself around hostile aliens, and his status within the Corp. 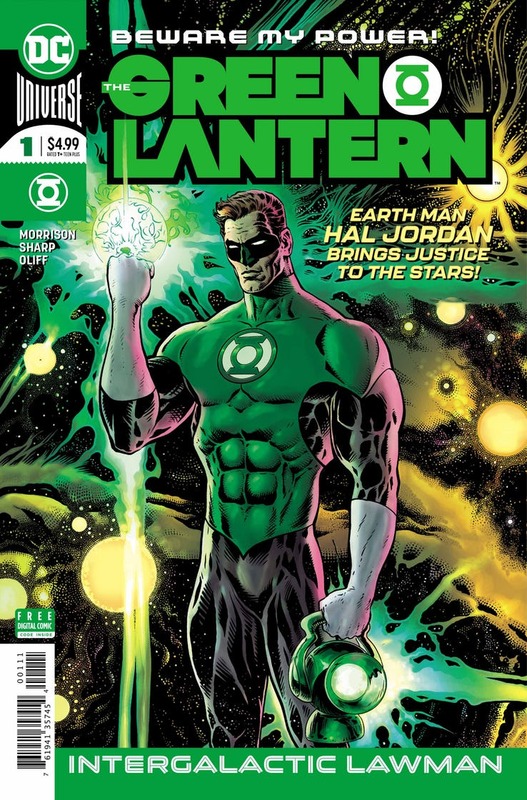 Naturally, towards the end of the issue we get the set up for the on-going plot this series will cover and the real challenge Hal will face, with the entire Corp under threat from a foreboding prophecy of betrayal. Sharp covers the art throughout this issue. His resume within the comic industry is hugely impressive and he is more than up to the task to deliver to the standard required by one of DC’s top tier characters and working beside the likes of Morrison. Sharp’s line work is incredibly detailed and adds a sense of gravity to the issue, with Oliff adding a colour pallet true to the Green Lantern’s classic shade of green. There is also a very interesting page where Hal while being heroic within the context has a noticeably sinister design to him. I have a sense reading this that Hal may have a dark streak that could come into play in this series. The creative alien designs also bring a sense of weird and wonder to the issue. This is a very interesting start. Morrison and Sharpe make an excellent team and I’ll be reading further issues as they come out. I certainly hadn’t realised though quite how many different Corps there now seems to be! Seems there a lot more than the visible rainbow spectrum now!